A new report says global EV sales will grow fivefold to 3.8 million by 2016. Those cars aren’t going to charge themselves. Looking for a way to angle into the burgeoning electric vehicle business? 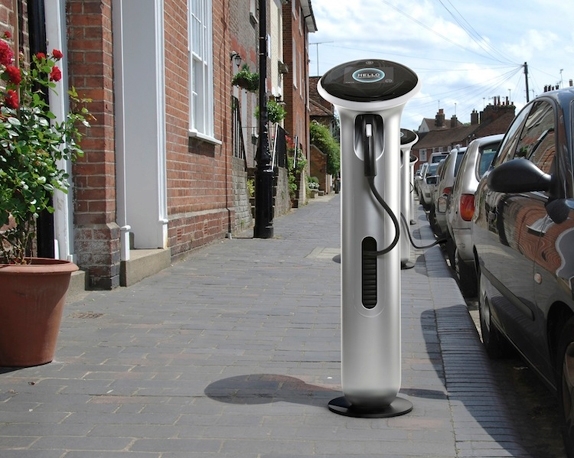 Forget cars–investing in the charging infrastructure is the way to go. A new report from GTM Research claims that global EV sales will grow fivefold to 3.8 million by 2016 (there were 246 million total cars on the road just in the U.S as of 2009). All those cars will need convenient places to charge up. There are, of course, plenty of major companies already working hard to build charging stations. Our slideshow from last year showed off some of the more promising charge station prototypes in the pipeline, including GE’s WattStation charger (pictured above), ECOtality’s Blink Charger, and the Coulomb Chargepoint charger. All of these chargers have begun rolling out or will be released later this year. Coulomb will have 2,600 public stations in the U.S. by October 2011, and ECOtality plans to deploy almost 15,000 charging stations in 16 U.S. cities in the near future. But that’s not even close to enough for 3.8 million cars. There are ways to get in on the EV infrastructure boom without building chargers. Instead, entrepreneurs might want to focus on the smart grid side of things. After all, the grid needs to be able to handle the rapid growth in EVs–and right now it can’t. That means utilities need to invest in all sorts of smart devices for the grid, including upgraded voltage regulators, capacitor banks (groups of high-voltage capacitors that control the level of voltage supplied and absorb energy from power line spikes), and communication networks. Again, there are companies–such as Trilliant and Silver Spring–working on these problems. But as the number of EVs climbs to ten or even hundreds of millions in the coming decades, the charging infrastructure business will explode. Don’t say we didn’t warn you. Related: Buffet-Backed BYD Finally Bringing EVs to the U.S.?